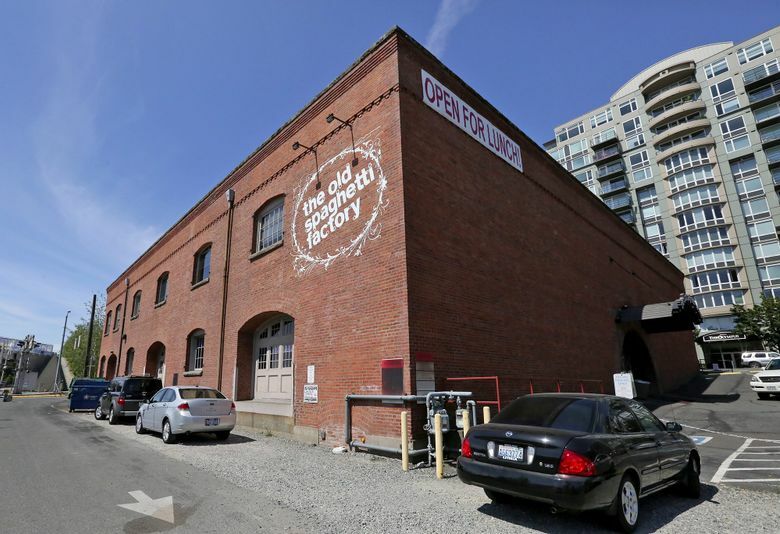 The original Seattle site of the Old Spaghetti Factory will serve its last meal on Dec. 23. There aren’t many restaurants in the region that offer diners an opportunity to eat Italian-style cuisine in an old streetcar — soon there will be one fewer. Opened in 1970, the Old Spaghetti Factory in Seattle will serve its last entree on Dec. 23, according to a note posted to the restaurant’s website. Developer Nitze-Stagen and Meriwether Partners bought the two-story warehouse and an adjacent parking lot on Elliott Avenue for $9 million in July 2015 from the Dussin family, owners and operators of Old Spaghetti Factory restaurants. The Pier 70 site was one of the first in a chain started in 1969 in Portland that has more than 40 restaurants, including Tukwila, Lynn­wood and Tacoma. The developer’s plans remain unclear. “We are just at the beginning stages of exploring our design options,” Meriwether Partners principal Joel Aslanian said in a 2015 statement. According to Seattle’s Landmarks Preservation Board, the warehouse was built by the Ainsworth & Dunn salmon-packing company in 1902, and in later decades served as a department store and waterproof-glue manufacturing plant.